I just finished page two! (Whoo hoo, making lots of progress here, hehee.) So I thought I'd post it real quick, before I go fold and put away the piles of laundry. I love how thick his little legs have gotten over the last few months. So very adorable! Your pages look great! Love your pages. He is just a cutie patootie! Thanks for the comments on my bookshelf. Hi! 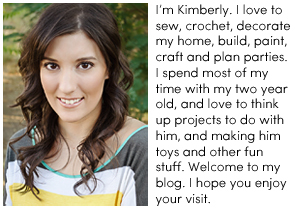 I just stumbled upon your blog and love it!!! I hope you don't mind if I follow you! you are super creative!!!! I just stumbled across your blog!! 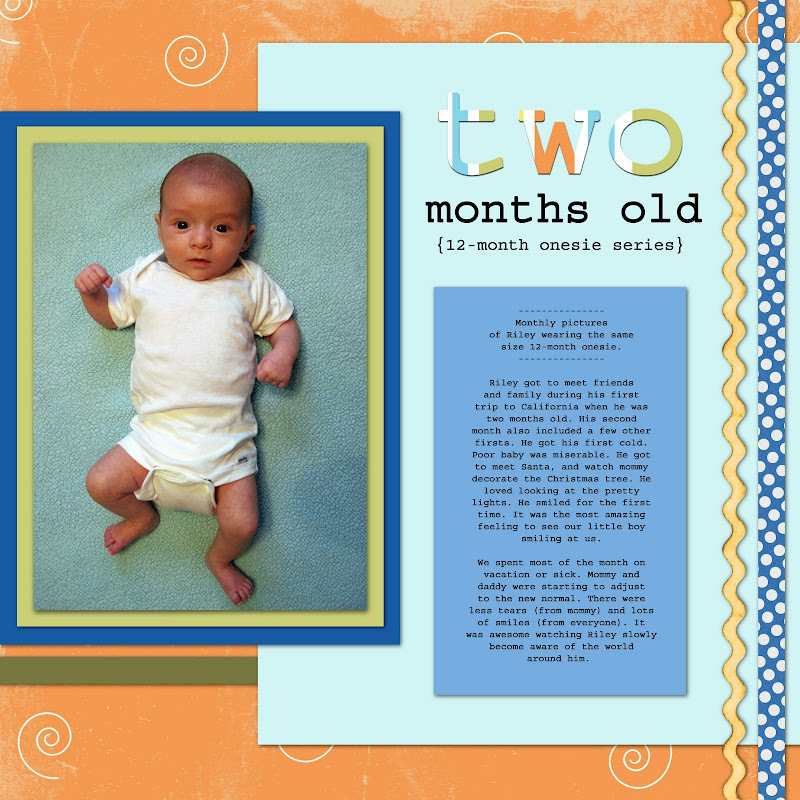 I love the 12-month onesie series, i just had my second on may 2 i'm so gonna have to do this!! SO CUTE! I also love how you re-purpose furniture! Love the 12 month onesie series! I just showed your blog to my daughter who is due in 5 weeks and she agreed. Tomorrow, we are off to buy a 12 month onesie! Love your blog. Riley is adorable.